Call me a fun-hater, but I get tired of the candy overload children are exposed to at every holiday. It gets crazy. Before we can finish the abundance of Halloween candy, Christmas is here. Then Valentine’s Day and Easter quickly follow. The candy just won’t quit. So this year the Easter Bunny is bringing (gasp!) no candy. Fortunately there are some fun Easter treats out there that don’t involve a sugar high. 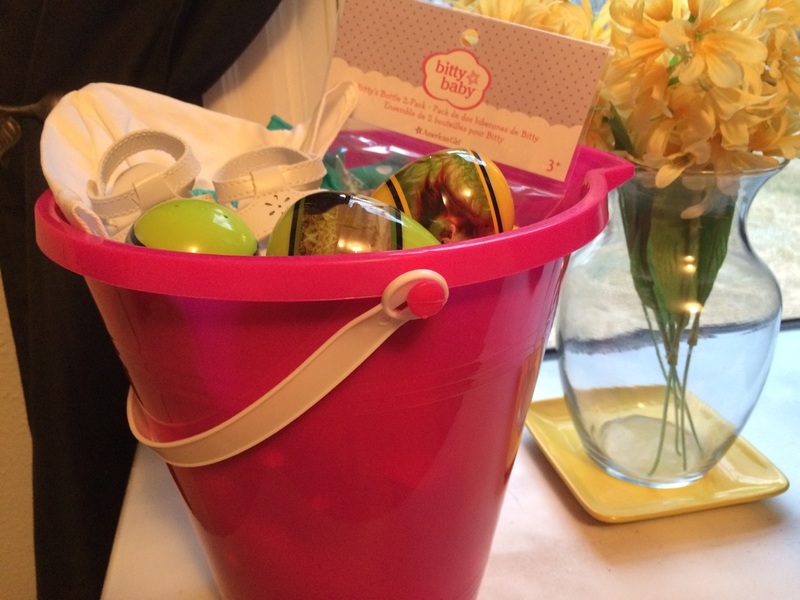 My girl’s basket this year is actually a hot pink beach pail I nabbed for $4 from Oriental Trading. Oriental Trading also has a wide selection of plastic eggs filled with non-candy items such as stickers and temporary tattoos. 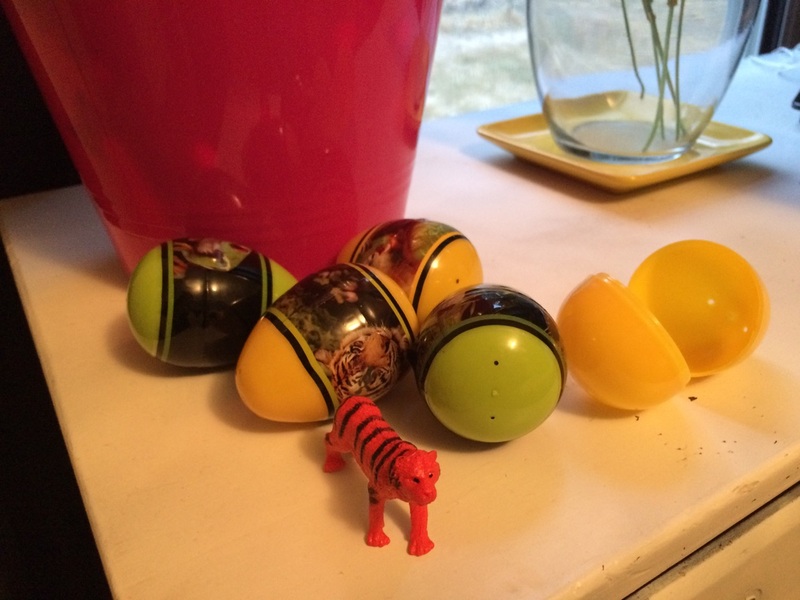 I opted for these eggs filled with zoo animals. 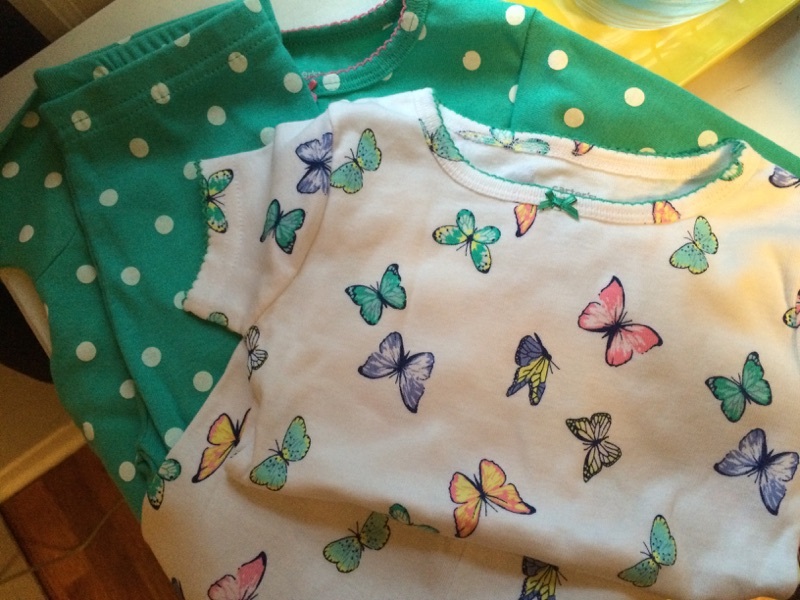 Then there are two sets of spring-themed pajamas from Carter’s. Clothes might seem boring to some kids, but my girl is going through a major wave of enthusiasm over pajamas. 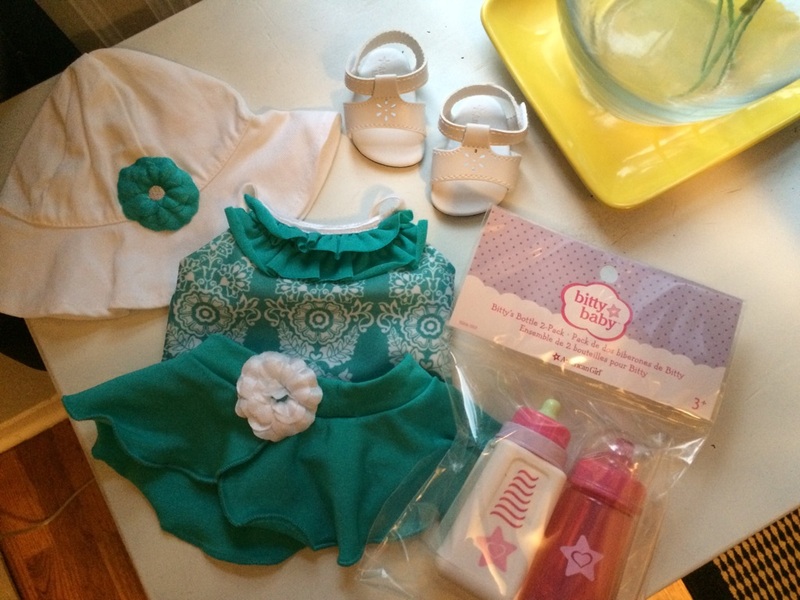 Finally, there are bottles and a beach outfit for Bitty Baby. It’s simple, candy-free, and I would argue even more fun than a sugar-filled basket. I have to admit that I am being a “Good” Grandma and not putting any candy in the Easter baskets. Bunny shaped crackers and toys and jammies are my option for the “Littles”. I will say that the big kids might just get some candy though, hehe. Happy Easter Everyone! I think this is wonderful….that isn’t just the dietitian in me talking! I did the same for my niece and nephew. They are both getting “gardening” Easter bags with tools and fun stones to paint that they can put out by the plants. That’s a really fun idea, too. I’ll remember that for next year. Thanks for reading! I usually like to fill the eggs with new undies or socks instead of candy since we are still in the potty training stage with our 3 year old and our 5 year old just likes a variety of undies. However this year Santa brought a bunch of new undies & socks so we are set there. I also like to get jewelry & hair stuff from Children’s Place when its clearances out and put those in the eggs too! Stuffing the eggs with jewelry and hair stuff is a great idea.